Assessment of roles for oxidant mechanisms in vascular oxygen sensing M. S. Wolin, P. M. Kaminski, M. Ahmad, S. A. Gupte Department of Physiology, New York Medical College, Valhalla, USA. The ability of cells to sense and respond to changes in oxygenation underlies a multitude of developmental, physiological, and pathological processes. 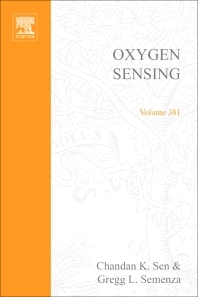 This volume provides a comprehensive compendium of experimental approaches to the study of oxygen sensing in 48 chapters that are written by leaders in their fields.